The 3M Company relies heavily on state-of-the-art testing facilities, methods, and equipment for thousands of products manufactured and sold worldwide. The emphasis on proper testing and truthful product representation is why millions of people trust 3M to produce the highest quality products on the market. 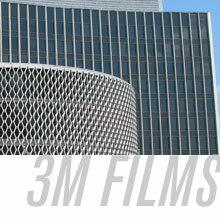 3M window films are no exceptions as testing accuracy and dependability are key priorities. Sharing some of the various testing methods used for 3M window films may provide you a better understanding of the strict quality standards that 3M achieves. The weatherometer testing is also coupled with outdoor testing in Florida and Arizona to obtain the real life results from humid to dry environments. Emissometer: An emissometer is a small heat emitting device that reads the warmth radiating from the film. This emissivity reading is then used to calculate the insulating value (U-Value). Taber Abrader: A taber abrader is used to determine the levels of durability and hardness provided by the special abrasion-resistant coating used on 3M films. In this test, film is placed on a rotating disk with two abrasive wheels placed over the disk. As the disk rotates, the wheels abrade the film sample. The performance of the abrasion-resistant coating is determined by measuring the change in haze level for a standard number of rotational cycles, the weight placed on the wheels, and the abrasiveness of the wheels.